I will be moving into my fiance's home after the wedding cause our BTO won't be ready by then. 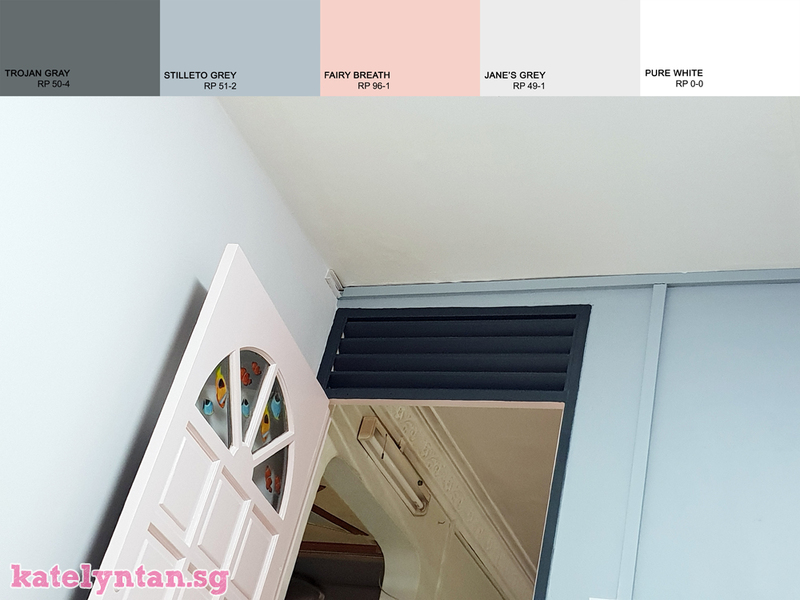 Hence, we decided to do a mini room renovation - clearing all the old furnitures, installing a full length built-in wardrobe and painting the room with Raffles Paint! We used R.One for the walls and ceiling and R.Aqua for the door, and they did the exact two tone door design that we wanted! The workers also ensured that our new built-in wardrobe and marble floor were covered before the painting process, and did a proper clean up of our place before leaving! Also, other than ensuring our furniture are well protected, the painters also did a good job at smoothening the walls! My fiance hasn't painted his wall in years and the walls weren't smooth at all. 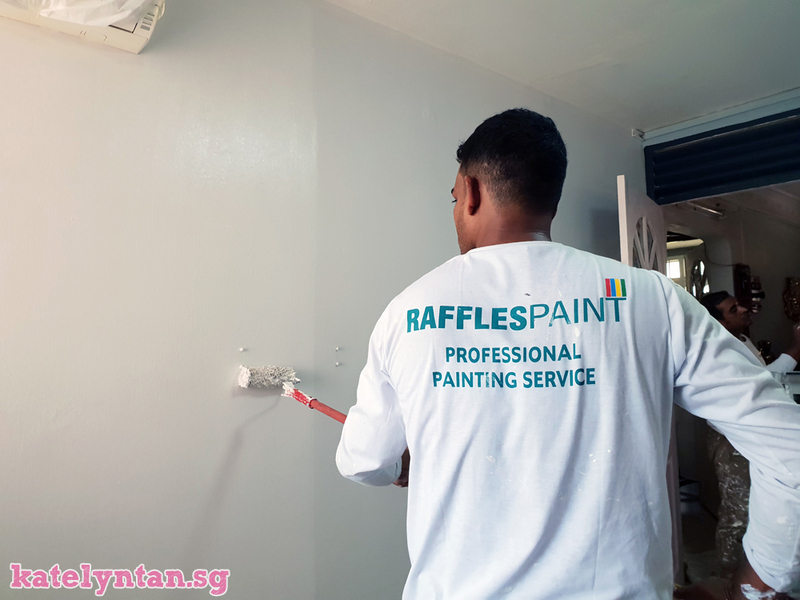 The painters from Raffles Paint managed to smooth the wall by a fair bit and it really looked as good as new!